Join professional musicians from all over our state as they play and sing their way into your very core. Live updates from Comfort’s own solar-powered radio station will keep you informed of their latest sightings. 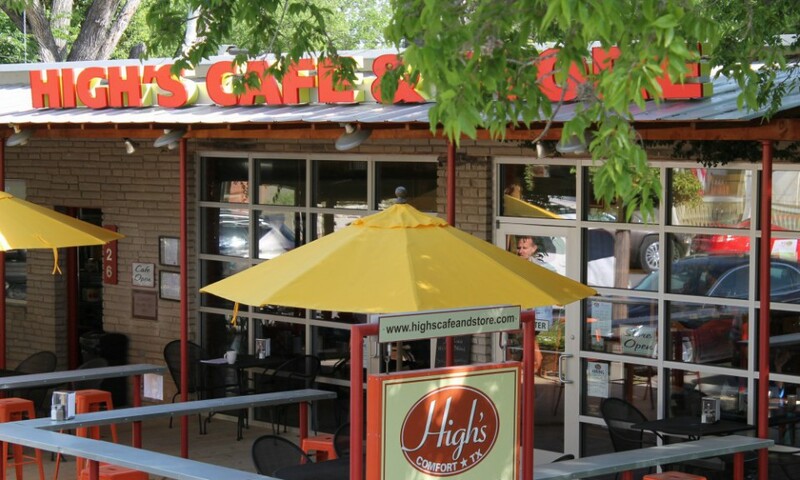 Your $50 ticket (available at High’s Cafe & Store in Comfort / 830-995-4995) is a 100% donation to the feeding arm of Comfort – The Comfort Table & Pantry. Join us for our 7th annual presentation. Following the concert at Spinelli’s Event Center (formerly Gaddis UMC), a rollicking good time for all will be had at High’s complete with wine,beer, tasty nosh and more music! Purchase your tickets today. Limited seating. Checks (made payable to The Comfort Table) or cash accepted. We always sell out. Don’t be left out of this alien invasion. Goose bumps, laughs, misty eyes…all guaranteed. Let’s gather and remind ourselves of our shared humanity. See you JULY 25th, 7 PM.